September 20 , by Stacie Hooder. 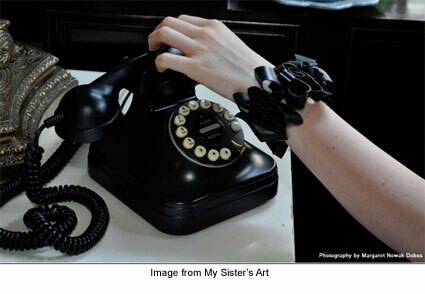 AL.com has a very interesting article about Kathleen Nowak Tucci and her upcycled rubber jewelry. Since one of her pieces appeared on the August cover of Vogue Italia and more in its pages, she’s been a very busy lady. You can see more of her avant-garde work at MySistersArt.com.